The garden of Eden in Genesis 2 contains many pictures of spiritual realities seen in New Jerusalem. Revelation 21:27 tells us that “only those who are written in the Lamb’s book of life” enter New Jerusalem. Philippians 4:3 speaks about Christians “whose names are in the book of life.” Surely they will be in New Jerusalem. In contrast, “if anyone was not found written in the book of life, he was cast into the lake of fire” (Rev. 20:15). Revelation 13:8 tells us that those dwelling on earth, “every one whose name is not written in the book of life of the Lamb” will worship a beast. Similarly Revelation 17:8 says that these people will marvel when they see a beast. 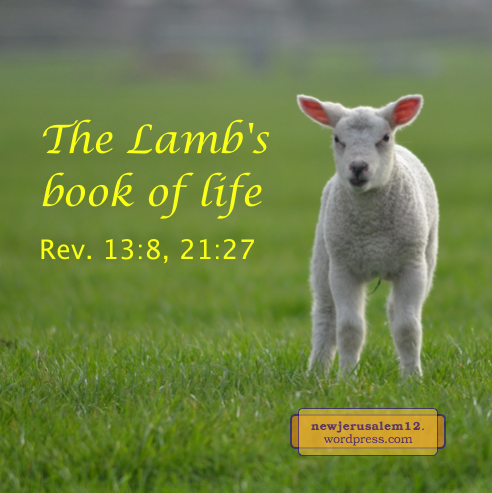 Some verses associate the book of life with the Lamb. God’s eternal purpose is that man receive Him as life so that man can express and represent God (Gen. 1:26). Therefore, God put created man in front of the tree of life in the garden of Eden (Gen. 2:8-9, 15-17). This tree is a symbol of Christ, who is the real life for man. Unfortunately man partook of the wrong tree, and was banished from the garden and the tree of life (Gen. 3:22-24). This closure persisted until God incarnated in the man Jesus. He, the Lamb of God, died on the cross to redeem us and reopen the way for us to receive the divine life. This life enables us to participate in New Jerusalem. We see three steps: redemption, life, city. Redemption is for life, and life is for the city. All three are in Revelation 22:14, “Blessed are those who wash their robes that they may have right to the tree of life and may enter by the gates into the city.” To wash is to apply the Lamb’s redemption; to come to the tree is for life, and to enter the gates is to be in New Jerusalem. Praise the Lamb! The whole Bible is a journey from God’s creation and the Garden of Eden (Genesis 1–2) to God’s consumma-tion centered on New Jerusalem (Revelation 21–22). This post begins a look at a hymn about God’s eternal purpose, consummating in New Jerusalem. This hymn was authored by Witness Lee. Here are words and music and a post, Who is Witness Lee? 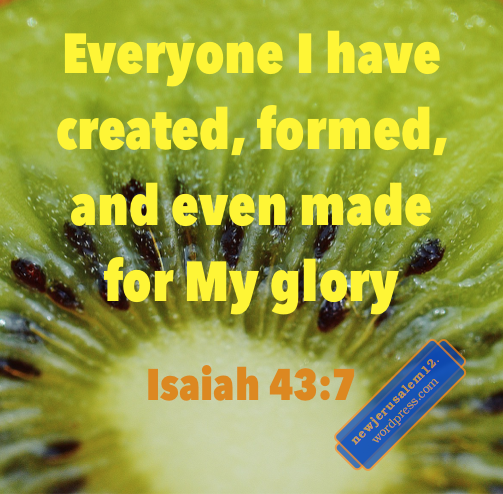 Verse 1 of the hymn is an overview of God’s purpose and verse 2 speaks about creation. In Genesis 1:26 the Triune God said, “Let Us make man in Our image.” Man is in God’s image so that man can express God. However, even though man has the image, like a photograph, man still needs the life of God to be God’s living expression. The created man was set in the garden of Eden with the tree of life (Gen. 2). But man fell into sin and was ejected from the garden (Gen. 3). Through the redemption accomplished by the death of Jesus and the life released in His resurrection, man can now be freed from sin and be born again. Jesus Christ “the life” (John 14:6) is the reality of the tree of life to become our life. This life is not static, but is a continuous, eternal supply, seen in New Jerusalem as the “river of water of life” (Rev. 22:1) and “the tree of life, producing twelve fruits, yielding its fruit each month” (22:2). 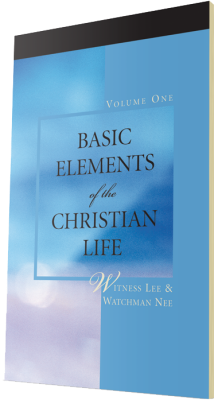 It is by this life that man can express God and thereby cooperate in accomplishing God’s purpose. Examples of the expression of God now are to magnify Christ (Phil. 1:20) and having an excellent manner of life among the unbelievers (1 Peter 2:12). New Jerusalem, having the glory of God and light like a most precious stone (Rev. 21:11), is the eternal expression of God by means of His life in His redeemed humanity. A search asked, “is the tree of knowledge in the New Jerusalem?” The simple answer is NO. The tree of knowledge is coupled with death and is in contrast to life, which is Christ Himself, pictured by the tree of life in the garden. 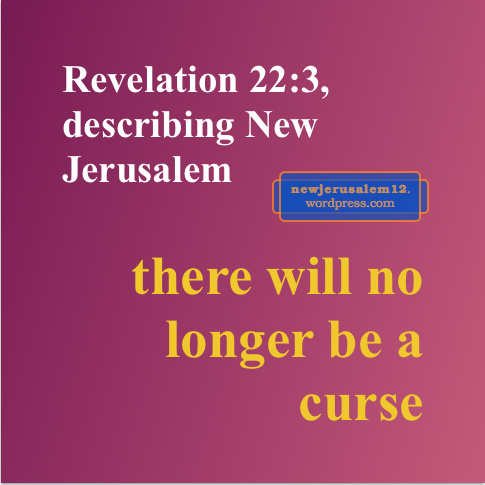 By the time New Jerusalem comes down out of heaven (Rev. 21:2), death will have been banished to the lake of fire (Rev. 20:14). There will be no death in New Jerusalem nor in the entire new creation. “Death will be no more” (Rev. 21:4). 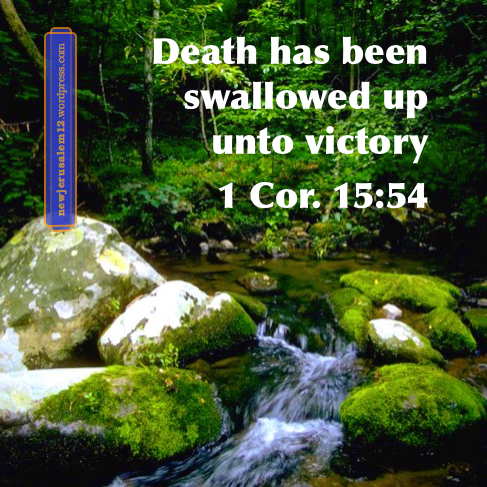 “Death has been swallowed up unto victory”—1 Corinthians 15:54 quoting Isaiah 25:8. In Christ is our victory! Furthermore, the promises in Revelation 7:16-17, 21:4, and 21:3a show that not even precursors of death, such as hunger or pain, will be in the new creation. 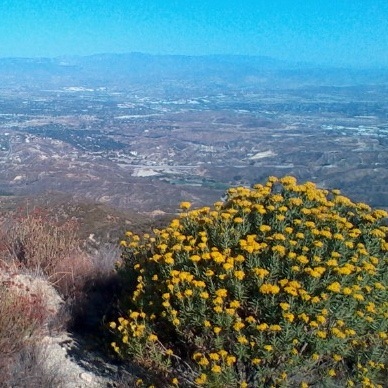 Photo courtesy of US National Park Service. May the Glorious City Appear on the Earth ! ____Where Thy glory we shall see. In Jesus Christ we can experience the freedom from self and we can be built together with other Christians into God’s house, the temple. The more we are built together, the more His glory will be expressed. The ultimate stage of being freed from Adam, the ultimate stage of being built together, and the ultimate stage of glory is New Jerusalem. New Jerusalem “has the glory of God” (Revelation 21:11). The city is not merely in the glory but rather glory is a characteristic of the city. Verse 2 of this song speaks of the Lord’s life and its flowing. This life is the source of the building, even as the building materials came out of the river of life in Genesis 2. Verse 3 touches Ephesians 4:15-16—we grow and are knit/built together by holding Christ the Head. Verse 4 touches Ephesians 3:16-19—Paul prayed (and we too can daily pray) for strengthening by the Spirit into our inner man. Thus Christ makes home in us, we know His surpassing love and His immeasurable riches, and we are filled unto all the fulness of God. The utmost of all these experiences is New Jerusalem. ____To express to all Thy worth. New Jerusalem is the Bride of Christ (Revelation 21:2), it is the glorious city (21:11), and it is the brightly beaming lampstand (21:23). Lord, fill us with the longing for New Jerusalem to appear on the earth! Here is a short quote about the Triune God and New Jerusalem from Experiencing, Enjoying, and Expressing Christ by Witness Lee, © LSM (details). See message 429 in online reading. The New Jerusalem is built of three kinds of precious materials, signifying that she is built with the Triune God. First, the city proper, with its street, is of pure gold (Rev. 21:18, 21). Gold, the symbol of the nature of God, signifies the Father as the source, from whom the element for the substantial existence of the city is produced. Second, the twelve gates of the city are pearls, which signify the Son’s overcoming death and life-imparting resurrection, through which entrance to the city is gained. Third, the wall of the city and its foundation are built of precious stones, signifying the Spirit’s work of transforming the redeemed and regenerated saints into precious stones for the building of God’s eternal habitation that they may express God corporately in His all-permeating glory. In the garden of Eden these three kinds of treasures merely existed as materials (Gen. 2:11-12), whereas in the city of New Jerusalem these precious materials become a builded city for the fulfillment of God’s eternal purpose, which is to have a corporate expression. God is infinitely wise and infinitely capable. What He purposed in eternity past, He will accomplish. Satan, sin, death, worldliness, and other negatives cannot deter or stop Him. What was portrayed in the garden of Eden will be fulfilled in New Jerusalem. The infinite wisdom of God will be “made known through the church, according to the eternal purpose which He made in Christ Jesus our Lord” (Ephesians 3:10-11). Today God is operating in all His believers who together constitute the church. His operation is in time but it is of eternity; it includes His work in us but it is His work, not ours. What He accomplishes now is manifest to some extent in this age and to a greater extent in New Jerusalem. God’s desire is that we of the tree of life and His command is that we not eat of the alternative. As seen in the prior post, Jesus is the reality of the tree of life. He is the real life and life supply in the universe. God’s desire is that we take Jesus as our daily food. What keeps us from the tree of life might be our idea that the Christian life is a life of doing good. According to this idea, I obey the teachings of Jesus and follow His example to be kind and to help people. However, this is not the central revelation of the Bible. Jesus Himself said “He who eats Me, he also shall live because of Me” (John 6:57). His desire is that we eat Him to live Him. “Christ lives in me”—to live out through me all the good He wants to accomplish, and “to me to live is Christ”—my life is Him, not my doing good in my self and by my own effort (Galatians 2:20 and Philippians 1:21). We are not against good, but we are against good that originates in our human self. “No one is good except One—God” (Mark 10:18). Our aspiration is the good that is Christ living in us and through us. For this we need to eat Him every day. This eating is portrayed by the tree of life in the garden of Eden and in New Jerusalem. 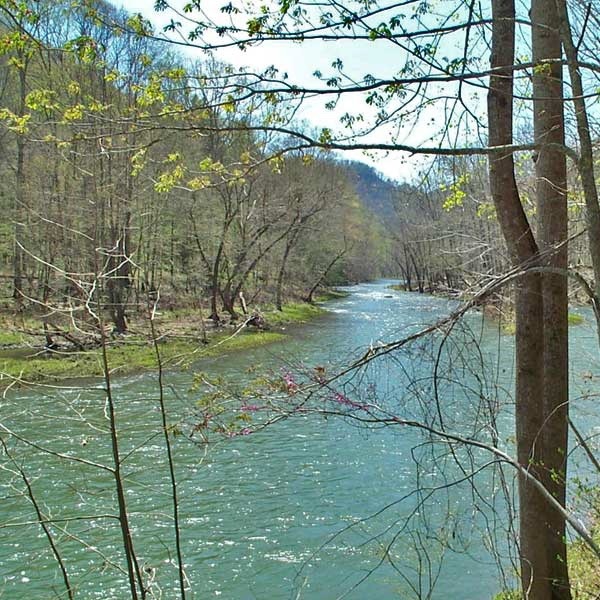 Recent posts have looked at the river of life through the Old Testament, with support from a few New Testament verses. This series included more than I expected when it began. Thank the Lord for the riches in His Word. Here are the posts in order, each with one Bible phrase that was a highlight to me. The first word of each line has a link to that post. The reality of all these verses today is the Spirit (John 7:37-39; 1 Cor. 12:13). 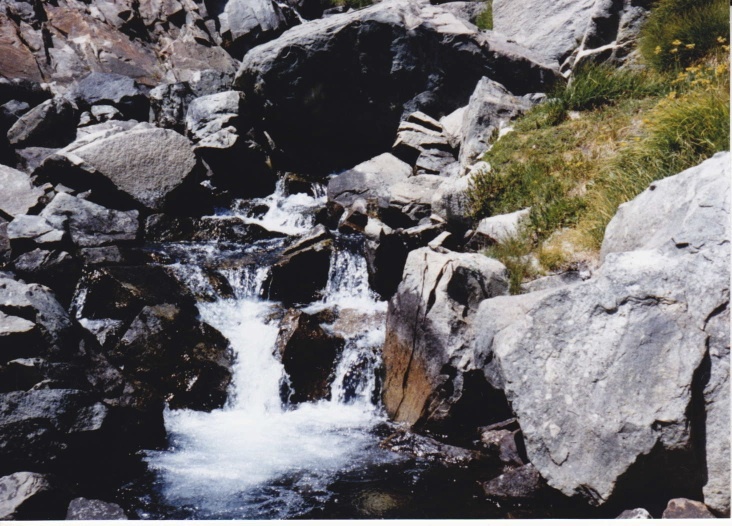 Heed the invitation in Revelation 22:17, “let him who wills take the water of life freely.” There will be more flowing in the coming age and the most abundant flow from the throne in New Jerusalem (Revelation 22:1-2), but come to Jesus and drink now. Here is a song in which Revelation 22:17 is the chorus; sing and draw water with rejoicing (Isaiah 12). 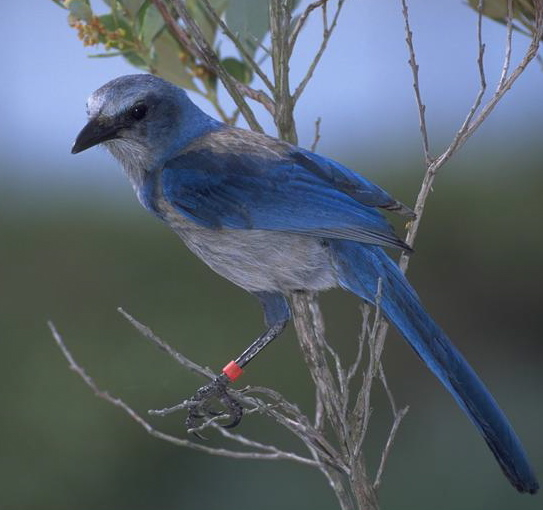 Photo by Dr. James P. McVey, courtesy of U.S. Dept. of Commerce, NOAA Sea Grant Program. The Triune God flows the rich supply of eternal life to all who receive. This flow was first portrayed by the river in the garden of Eden. It continues through both the Old Testament and the New Testament to consummate in the river of water of life flowing from the throne in New Jerusalem (Revelation 22:1-2). This post continues looking at this flow in the Old Testament. 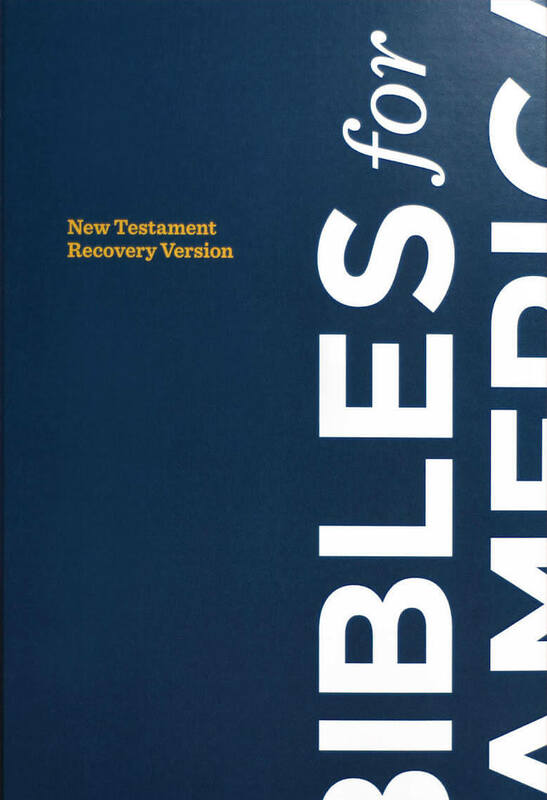 The Old Testament is often considered a shadow of the New Testament realities. Yet in Jeremiah we do not find a picture, but the Triune God is the fountain. This fountain flows out living waters for us to drink. The Lord warns us that to forsake Him as the fountain is an evil act. Dear Lord, keep us drinking of Yourself every day so that Your living waters may flow through us. The other evil in Jeremiah 2 is hewing out cisterns. These cisterns are whatever or wherever we seek satisfaction apart from the Lord. Our cisterns could be entertainment, a nice home, video games, advancing in a career, winning an award, or so many other goals. If our source is anything other than the Triune God, it is a cistern. We are warned that whatever we hew out for ourselves are broken cisterns which do not hold water (representing satisfaction, assurance, supply). These cisterns are the product of human effort in contrast to the Triune God Himself as fountain, the source of eternal supply. May we turn from our own efforts and cry out with thanksgiving to the Lord so that we may drink of the living waters and rejoice. 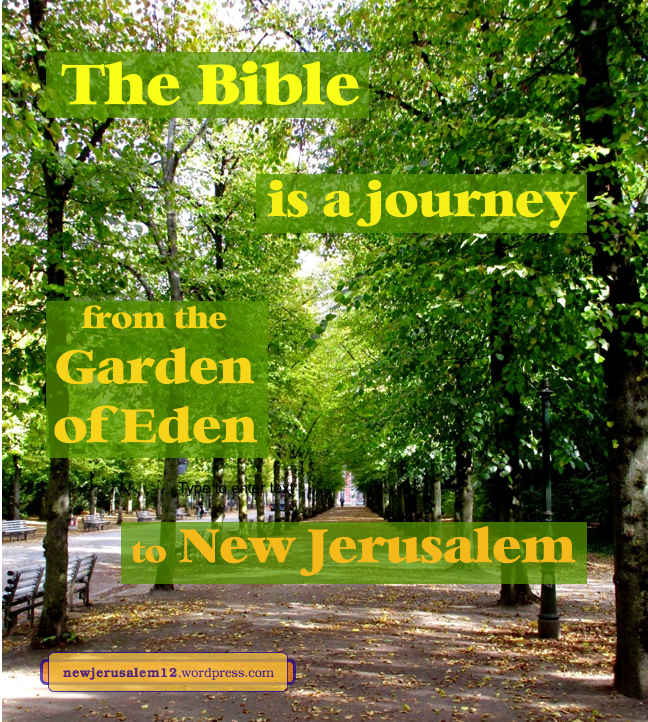 On April 19 I began a series looking at similarities between the garden of Eden and New Jerusalem. Since then this comparison, of Genesis 2–3 with Revelation 21–22, has grown. Thank the Lord for how His word unfolds as we dig into it. Here is a summary of this series; each ❖ symbol links to a specific post. ❖ ❖ ❖ ❖ God was present in the garden as the Creator and is present in New Jerusalem as the redeeming and life-imparting Lamb-God. ❖ Man was created in God’s image in Genesis and is one with God in life in Revelation. ❖ Redemption is portrayed in the garden; completed redemption is seen in the city. ❖ God and man, although speaking face to face in the garden, were separate; in the New Testament, including New Jerusalem, God in Christ lives in His believers and they live in Him. ❖ The tree of life is in both the garden and the city; Jesus Christ is the reality of this tree and is available to us now. ❖ A choice between life and death is shown by the tree of life and tree of knowledge in the garden; man faces this choice through the Bible although not in the new creation. ❖ ❖ The river of life is in both the garden and the city; the Spirit is the reality of this flow of life reaching us today. ❖ ❖ Three kinds of precious materials were in the garden; three kinds of precious materials are built together in the city. ❖ ❖ Eve, the bride of Adam, who came out of Adam, is a picture of the church and New Jerusalem coming out of Christ and returning to Him as His bride. ❖ ❖ God’s building of the rib from Adam’s side into Eve is a picture of building the church and New Jerusalem with the unbroken life which flows out from Christ. ❖ ❖ ❖ ❖ ❖ God’s glory, holiness, and righteousness are seen in the garden, in the redemption of Christ, in our Christian life, and in New Jerusalem. 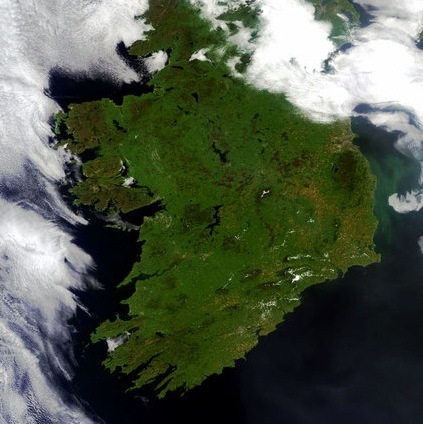 A photo of Ireland from space, courtesy of European Space Agency.